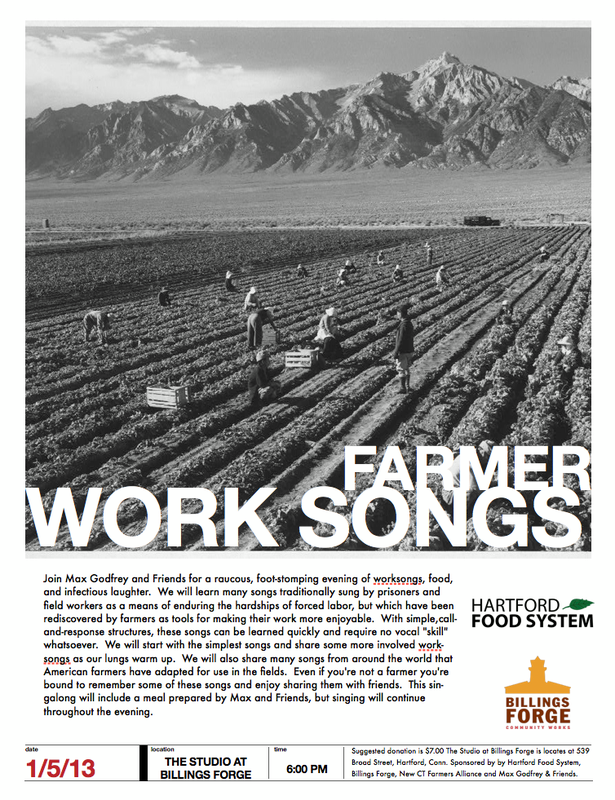 farmer worksong singalong – saturday! Join Max Godfrey and Friends for a raucous, foot-stomping evening of worksongs, food, and infectious laughter. We will learn many songs traditionally sung by prisoners and field workers as a means of enduring the hardships of forced labor, but which have been rediscovered by farmers as tools for making their work more enjoyable. With simple,call-and-response structures, these songs can be learned quickly and require no vocal “skill” whatsoever. We will start with the simplest songs and share some more involved worksongs as our lungs warm up. We will also share many songs from around the world that American farmers have adapted for use in the fields. Even if you’re not a farmer you’re bound to remember some of these songs and enjoy sharing them with friends. This singalong will include a meal prepared by Max and Friends, but singing will continue throughout the evening. Leave a Comment on farmer worksong singalong – saturday! another interesting opportunity in Washington State. Interested in becoming an Organic Farmer? Join our Organic Farm School program! 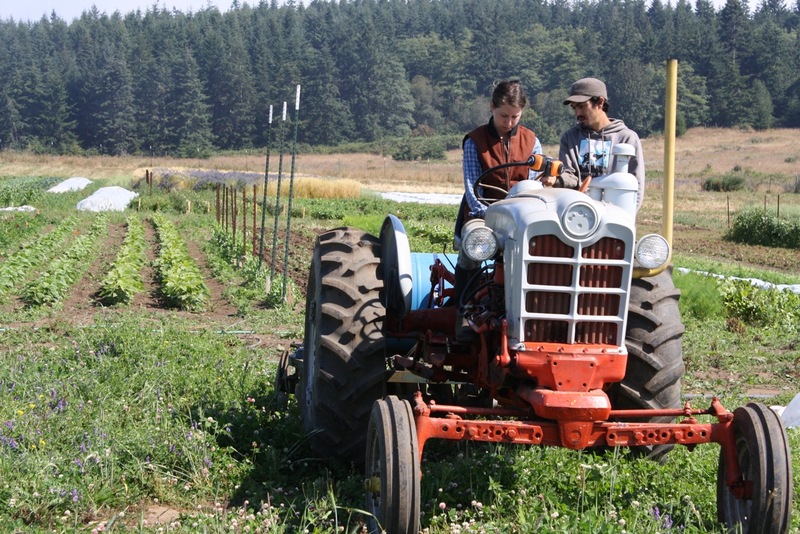 Located in Washington State, the Organic Farm School (OFS) trains aspiring farmers to run successful, ecological and community-focused farms and uses its eight-acre organic farm as a real-world example and outdoor classroom. During the full-time, 7.5-month residential program, students spend one third of their time attending weekly classes and field trainings, studying a university-developed farming and marketing curriculum, going on bi-weekly field trips and engaging in independent research projects, including the writing of a personal farm business plan. Students spend the balance of their time co-managing the OFS farm which focuses on market-scale production of organic vegetables, seed crops and cover crops with berries, poultry, goats and bees incorporated as well. Through this balance of academic and experiential studies, students learn and experience all aspects of starting and running a small scale organic farm, from goal setting and business planning to planting, harvesting, and marketing. With this skill and knowledge base, graduates are able to minimize their risk and maximize their success as they enter the growing field of sustainable agricultural producers! Sarah and Evan at Dog Song Farm in Amery, Wisconsin seek an apprentice/intern for the 2013 season. We request a minimum commitment of April 1st through October 1st. In 2013 we will raise meat (beef, lamb, chicken and possibly goose), eggs, honey, and vegetables for a 30 member CSA and local farmers’ market. We are also planting strawberries, asparagus and garlic this year as well as prepping for a future 4 acre apple and pear orchard. 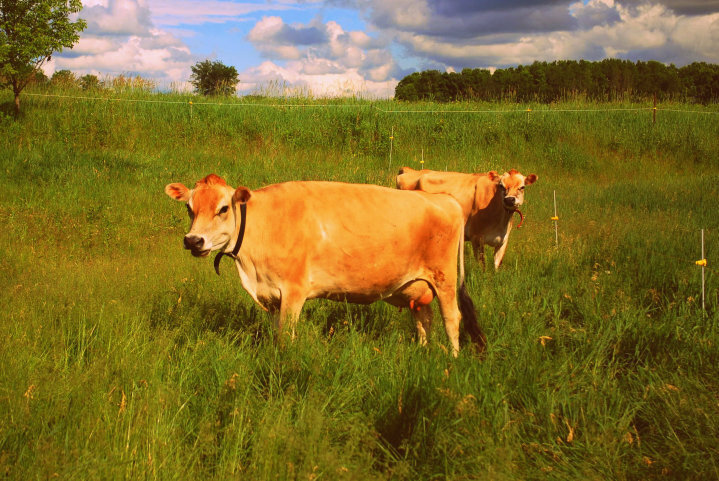 Our 40 acre farm will be transitioning to Biodynamic. A neighboring farm, where we’ll be growing much of the veg for CSA, is certified organic. We also preserve our own food, including but certainly not limited to making cheese, butter, yogurt, ice cream, and canning, freezing, dehydrating, etc. This is just great. Wow. Glad that the crowdsource platform sector continues to grow and grow. Christie Street’s marketplace empowers inventors to realize their dreams while ensuring that the believers who back them can do so with confidence. We don’t decide which products are cool or not – we let our community do that. We instead remain focused on showcasing only product concepts that are feasible and credible. If it can be made, we’d love to support it, which is exactly why we named the company Christie Street. In addition to being the street of Thomas Edison’s lab in New Jersey, it’s also the first road to actually use his electric lights for illumination. Thus Christie Street embodies a place where innovation is born, and ideas are turned into reality. This dual focus on supporting inventors and protecting buyers comes from our long-term vision. Christie Street’s team is not just working to build a business, but also a movement. 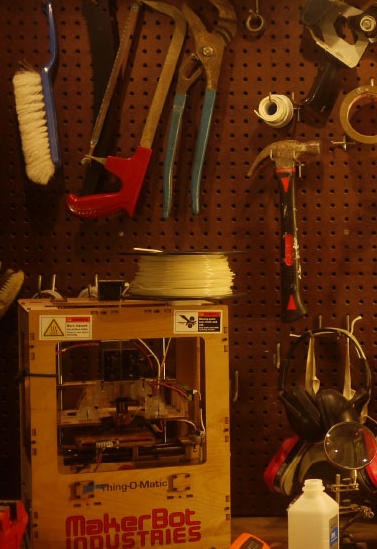 It can’t be stressed enough how important a platform like Christie Street is to inventors. By ensuring inventors credibility to their believers and allowing them to pre-sell product, Christie Street enables individuals all over the world to not only build great products, but also great companies. Our level of success will not be measured by the dollar amount transacted on the site, but instead, by the number of inventors we are able to assist with building self-sustaining businesses. Whether you are an inventor or a buyer we appreciate your support of Christie Street and hope you will join us in building a better world, one invention at a time. 8 tons of grains, roots, wine, cider, and maple syrup. ‘occupy the farm’ documentary ! As the micro-organisms work their magic in the sleeping winter soil, Todd Darling, documentarian, has been working hard on the film about Occupy the Farm. Today he is launching a Kickstarter campaign that will enable the film crew to finish editing, and start getting our story out to festivals and theaters. 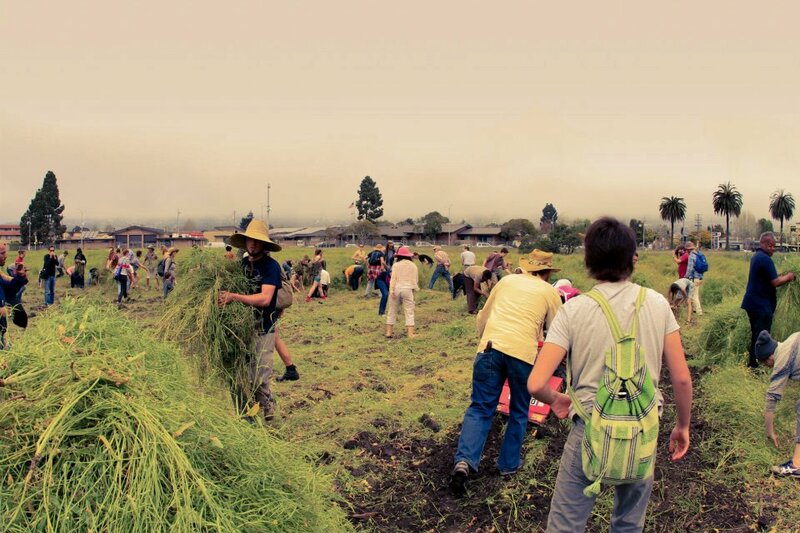 The people power that created the Gill Tract Farm can also help launch the documentary. By sharing this work that you’ve been a part of with friends, family and allies, you can not only continue to fight for the Tract, but for land access and preservation efforts going strong all over the planet. Leave a Comment on ‘occupy the farm’ documentary ! Make sure your mother is adequately informed, and rallying up her posse to join in the furor. With consumer outrage there is retailer response. 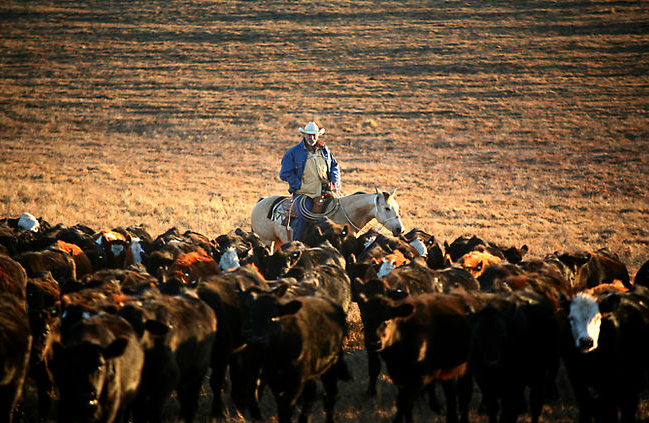 With brand action comes better farming practices. Better farming practices leaves us with a liveable planet. and the posibility of future Goodness. For goodness sake. Lets make a stink! Rj’s been on a bug fixing sprint, and added some tutorial videos.. just in time ! and bond with others digitally and in person– around the creation, repair, and many hacks on the horizon.